Sukkur, Board of Intermediate and Secondary Education Sukkur will manage BISE Sukkur Intermediate class part II annual exams 2019 on the schedule issued by the Sindh educational boards. Sukkur board HSSC-II annual date sheet 2019 shows that papers will be started from April 2019. 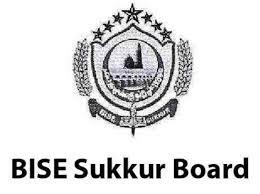 Sukkur Board has issued BISE Sukkur class 12 datesheet 2019 and Sukkur board will manage their Sukkur Board FA/FSc annual exams 2019 on the given timetable in the allotted exams centers, which are mentioned in the roll no slips of the students. The students are asked to follow Sukkur Board Inter part 2 date sheet 2019 annual exams.